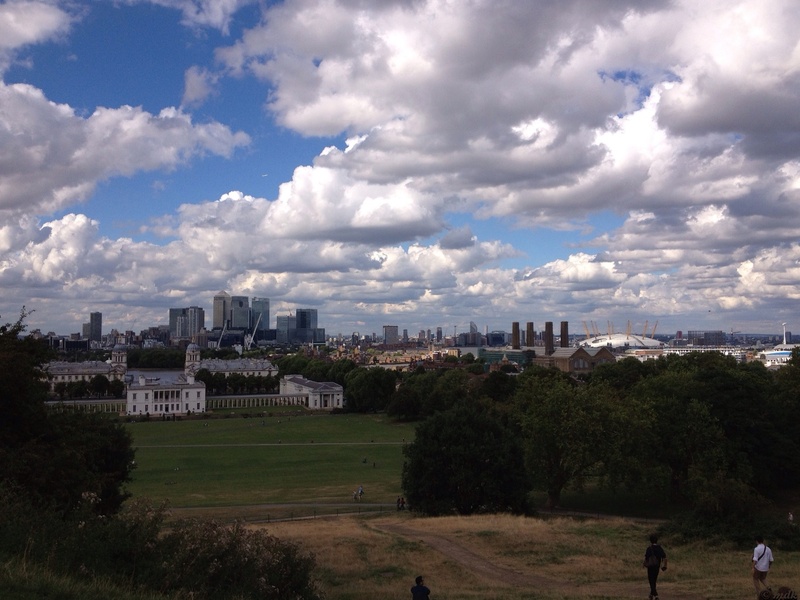 The Saturday before Commando’s 2013 Run To The Beat half marathon we were exploring Greenwich. 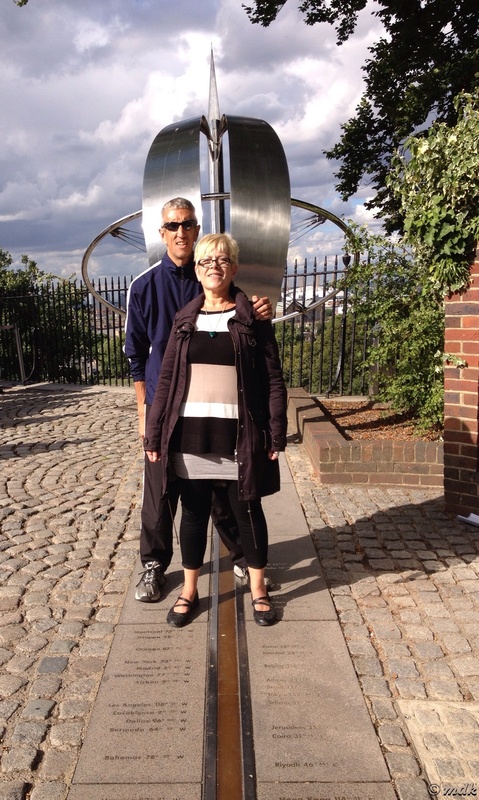 Once we’d had our fill of the Cutty Sark we made our way to the riverbank to get up close and personal with the Thames and, from there, to the world famous Observatory and the line that tells everyone in the world what time it is. 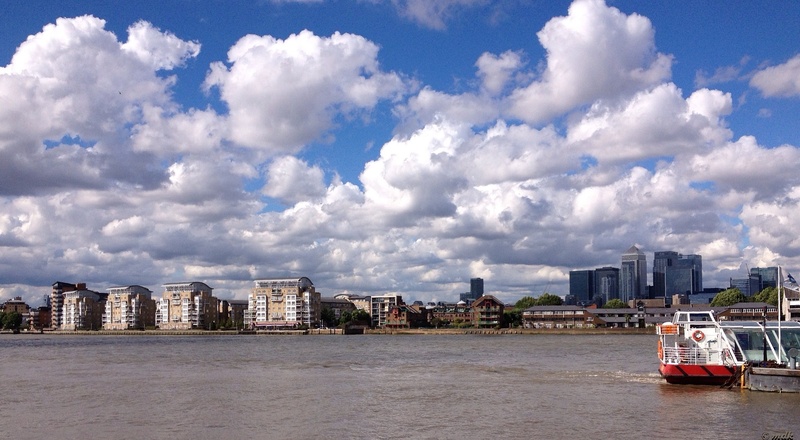 The scenery might not be as pretty, with a decided lack of trees and swans but the banks of the Thames were interesting nonetheless with all the tall buildings crowding the horizon, the little pleasure boats filling up with tourists and even a big ship coming into port. We stood for a while watching all the activity, trying to spot the famous landmarks in the distance and realising how clean our own River Itchen is compared to the muddy old Thames. 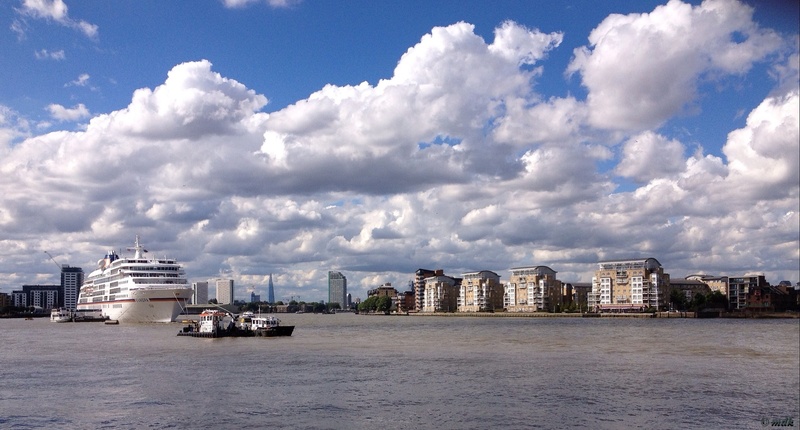 Of course the whole Thames isn’t as industrialised and urban as the tidal section running through Greater London. This river is two hundred and fifteen miles long, the longest river entirely in England (the Severn is longer but is partly in Wales). From its source, Thames Head in Gloucestershire, it runs through many towns and cities including, Oxford, Henley-on-Thames, Windsor, Kingston upon Thames, and Richmond before it empties into the North Sea. Much of it is rural and green with forty five navigation locks and weirs, over eighty Islands and a diverse variety of wildlife. 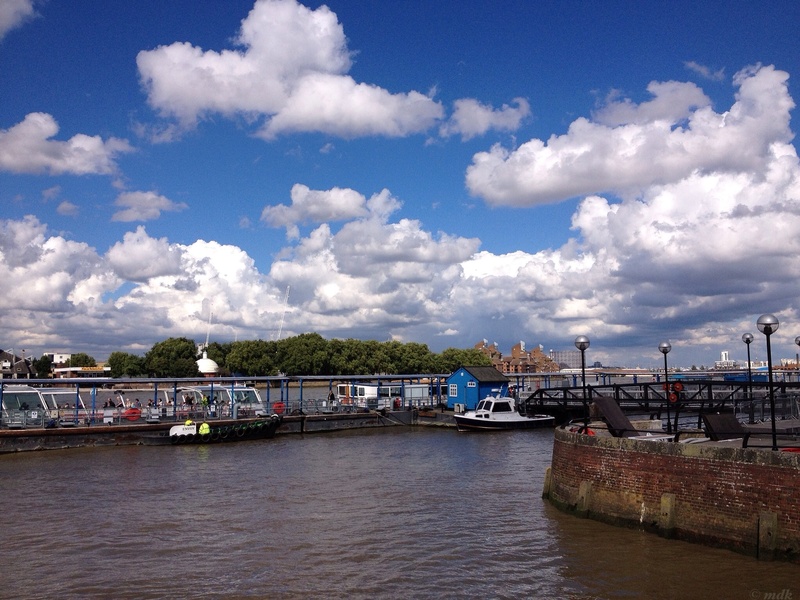 The tidal Thames, below Teddington Lock, drains the city of London and provides two thirds of London’s drinking water. Having looked into the muddy brown depths, I was not exactly overjoyed at the thought of drinking it. On this stretch of the river the water is brackish, a combination of salt and fresh water so I guess the drinking water comes from above Teddington Lock. Once we’d had our fill of gazing across the river we headed back inland. 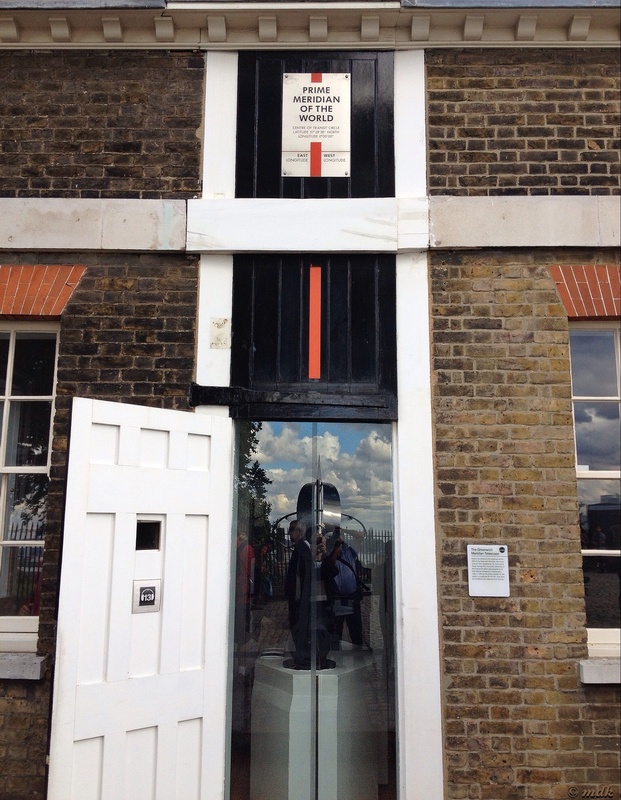 There is way too much to see in Greenwich for an afternoon so we reluctantly gave the Discover Greenwich visitor centre, in the grade II listed Pepys building, a miss. The building, an ornate collection of classical columns, and busts of naval heroes was originally racquet courts for naval officers. 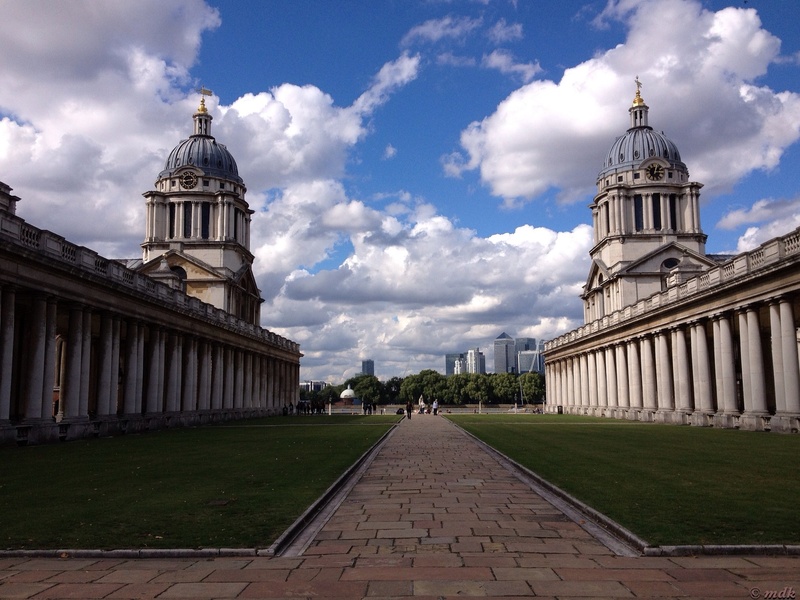 In 1905 it became the mechanical engineering laboratory of the Royal Naval College. Now that would have been something Commando couldn’t have passed by. 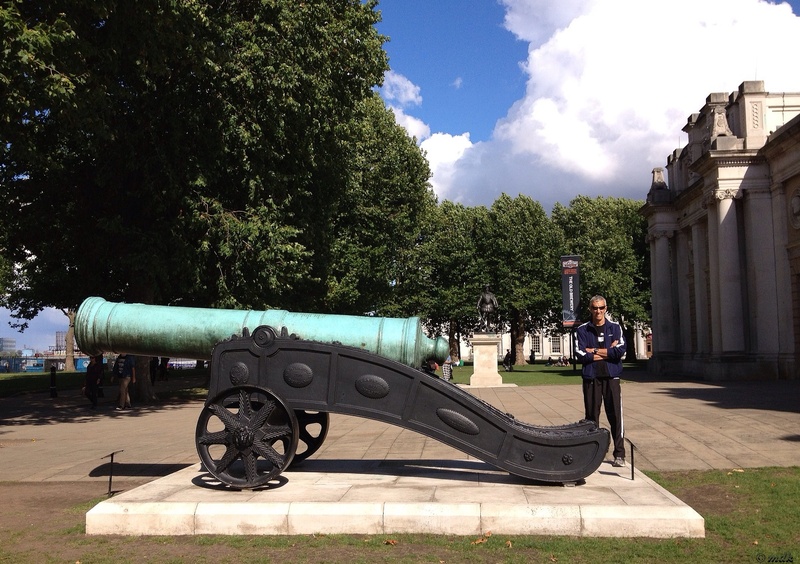 We did stop long enough to take a look at the beautiful old cannon outside. The long verdigris covered barrel pointing out across the river was quite a sight. 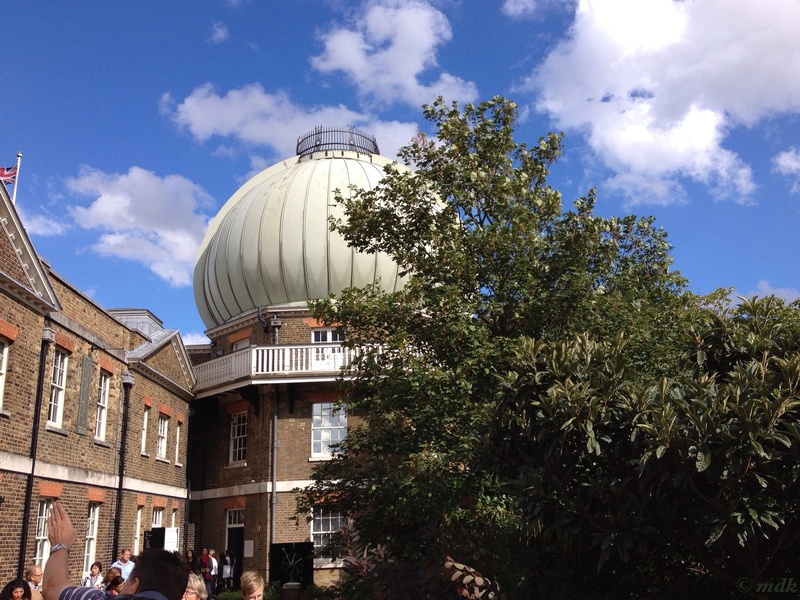 The next place we came to was the Old Royal Naval College, four large buildings and two beautiful domes set in a square bisected by lawns and paths. All very geometric and worthy of a closer look if only we’d had more time. 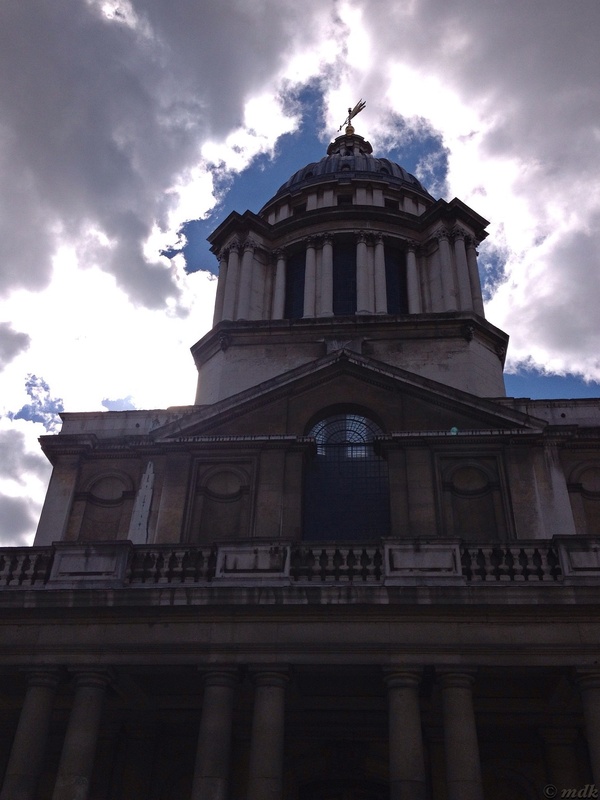 Originally built between 1696 and 1712 as the Royal Hospital for Seamen, or Greenwich Hospital, and designed by no less than Christopher Wren, of St Paul’s Cathedral fame. Those domes were unmistakeably Wren creations. 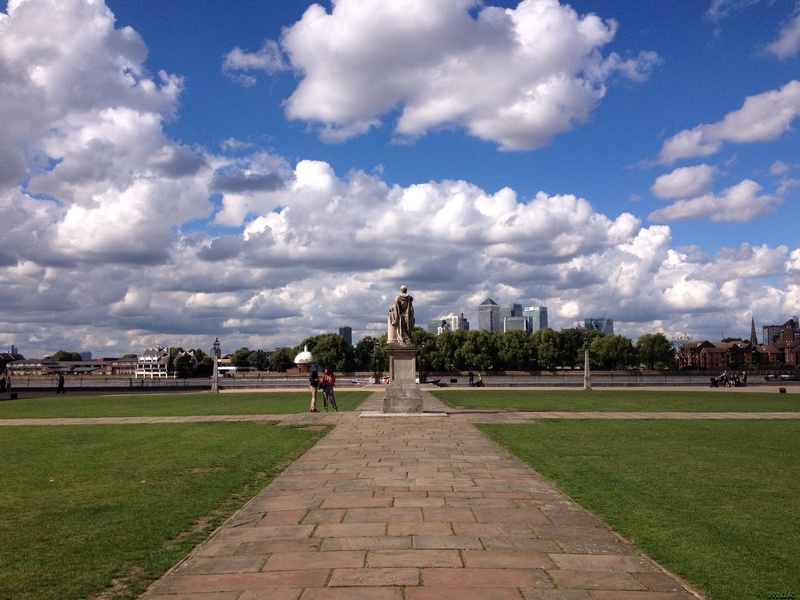 The Greenwich Hospital was built on the site of Henry VII’s Palace of Placentia, or Greenwich Palace. 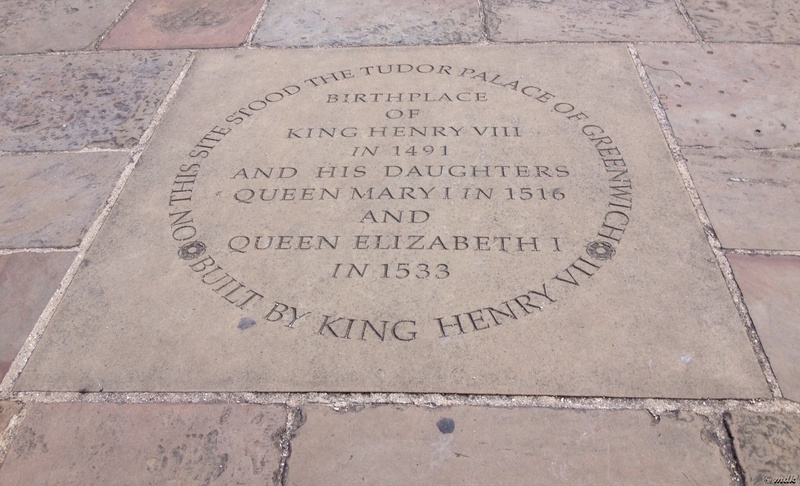 Henry had the palace built at the site of his birth and his daughters, Queen’s Mary I and Elizabeth I, were both born there. There is a stone commemorating this on the path leading between the buildings. 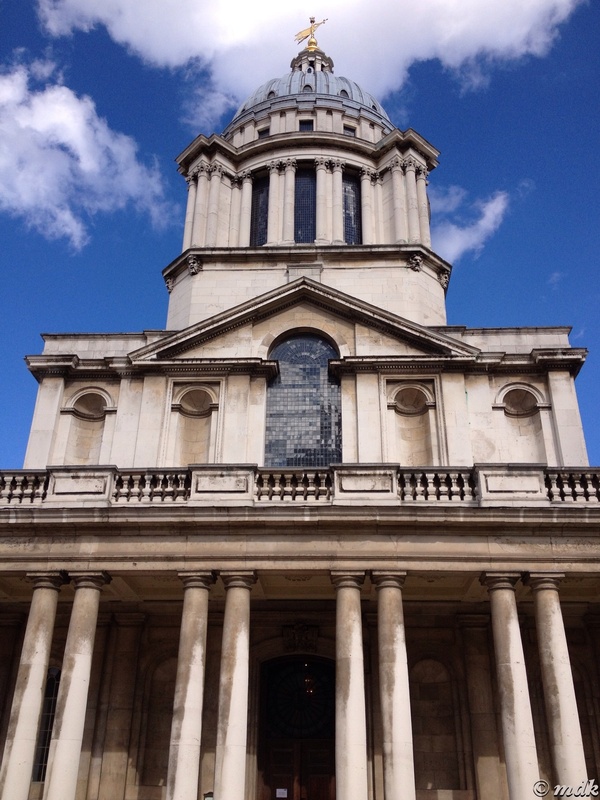 We strolled along this path, stopping to take photographs of the buildings and the domes and marvel at the view of all the modern architecture across the river framed by Wren’s wonderful old constructions. 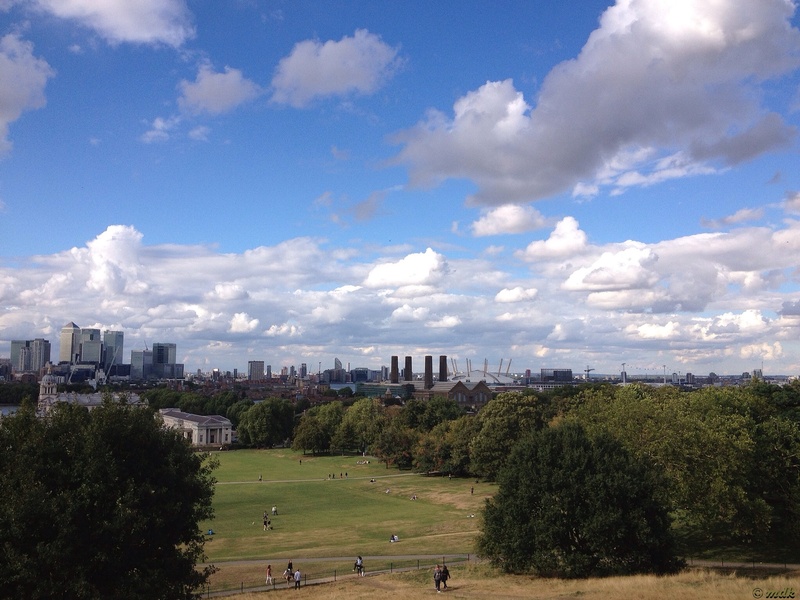 We were heading towards the Royal Observatory, mostly by guesswork although we thought we’d glimpsed the green dome through the trees at the top of the hill. There was a quick stop off to take a photograph of a larger than usual ship in a bottle outside the National Maritime Museum. This giant and rather unusual sculpture (for want of a better word) is the work of London born artist Yinka Shonibare. The ship inside the giant bottle is a replica of Nelson’s flagship, Victory. From then on it was all uphill. 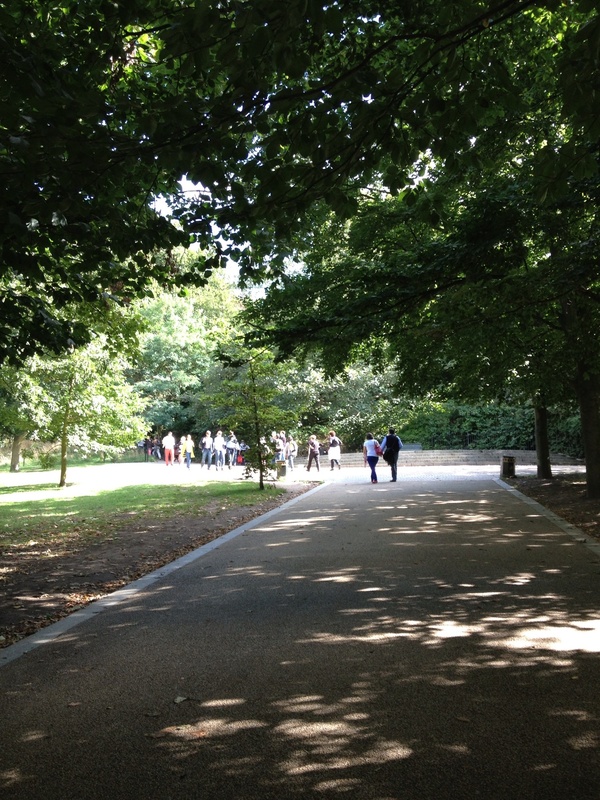 The leafy path, dappled with sunlight, got gradually steeper as we climbed. The last part of the path had us, veterans of the Big and Little Hills, wondering if our calves would ever recover. The route was crowded and, on this final stretch, we had to skirt round many who had stopped to gasp for air or rest. At the top we were rewarded with a panoramic view of where we’d just been. 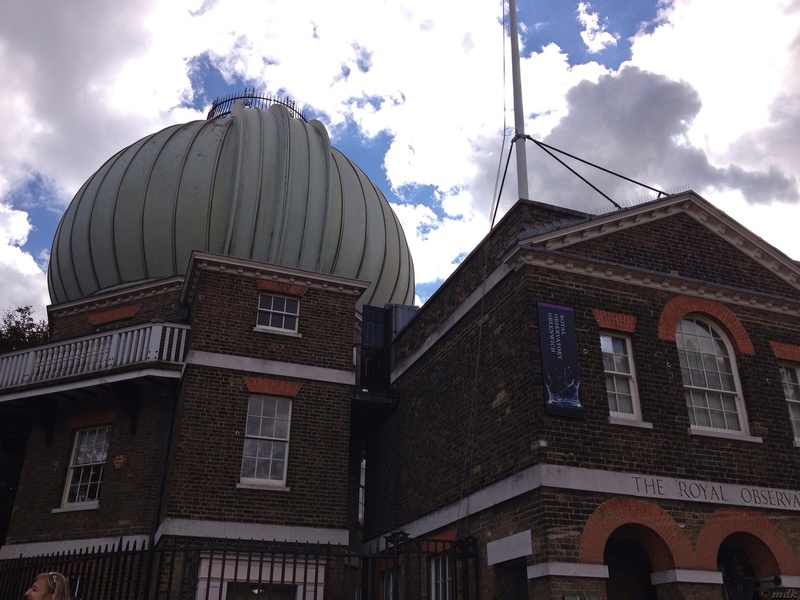 Finally we were at the summit standing in the shadow of the dome of the Royal Observatory. I don’t know about Commando, but I was feeling rather overheated from the climb. A fair few calories had obviously been burned. The building was the first purpose built scientific research facility in Britain. Commissioned by King Charles II in 1675, it was built on the foundations of Duke Humphrey’s Tower using recycled materials and designed by none other than Christopher Wren. 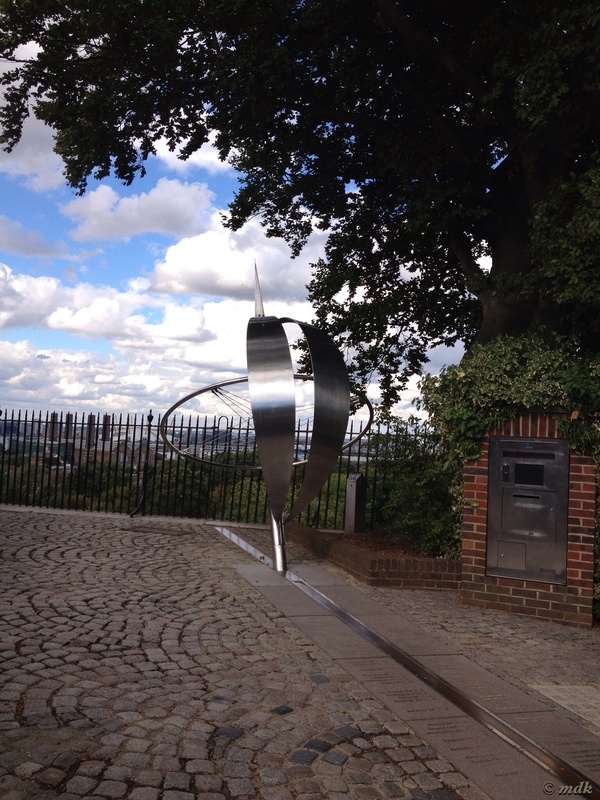 Is there anything in Greenwich that man didn’t design? The whole thing cost £520 which may not seem much nowadays but was a princely sum back then. 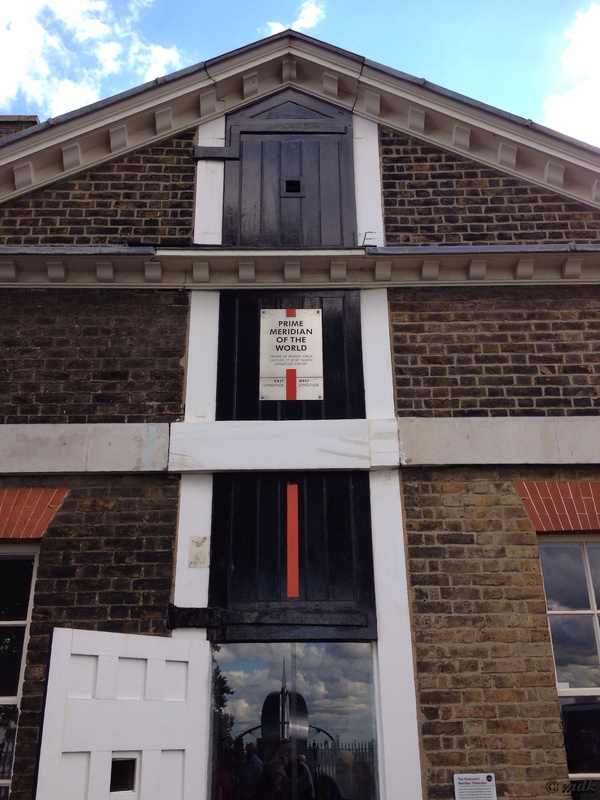 Unfortunately, because of the recycled foundations, the alignment is thirteen degrees off true North, which must have been a bit of a pain for poor John Flamstead who was appointed the first ever Astronomer Royal. 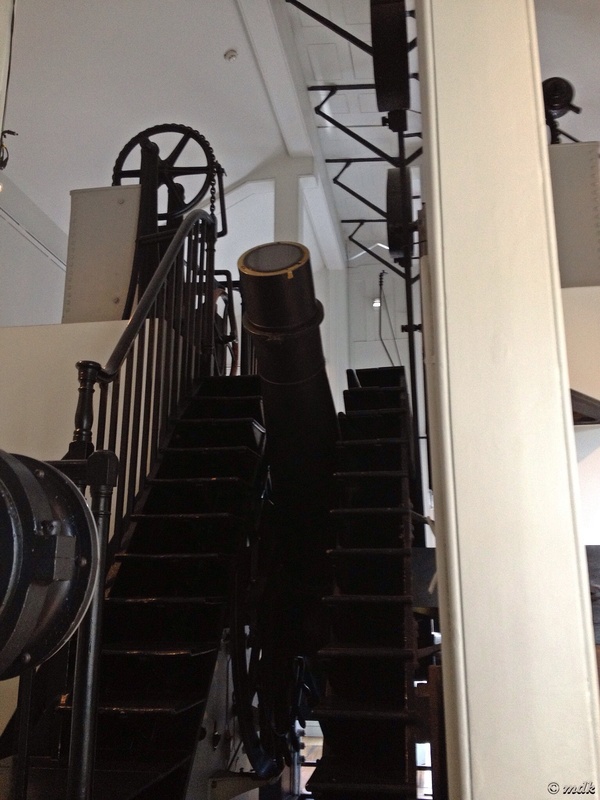 These days the position of Astronomer Royal might not seem like a big deal but, back then, there was a lot we didn’t know about the stars which made navigation on the sea a rather tricky business, especially as no one had invented a clock that worked properly on a ship at that point. What do clocks have to do with telling you where you are at sea? In simple terms the earth is marked by an imaginary grid work of latitudinal lines, parallel with the equator and longitudinal lines running around the globe from pole to pole. If you can work out which line you are on you can navigate. The latitude can easily be worked out by measuring how high the sun is but longitude is more difficult. If you compared the time shown on two clocks, one adjusted to local time and the other remaining unaltered, you could calculate longitude. The problem was clocks weren’t accurate and didn’t work properly on ships. Miscalculations were common, ships were wrecked. The idea of lines of latitude and longitude had been around since the third century BC but no one had been able to agree where these lines should be. 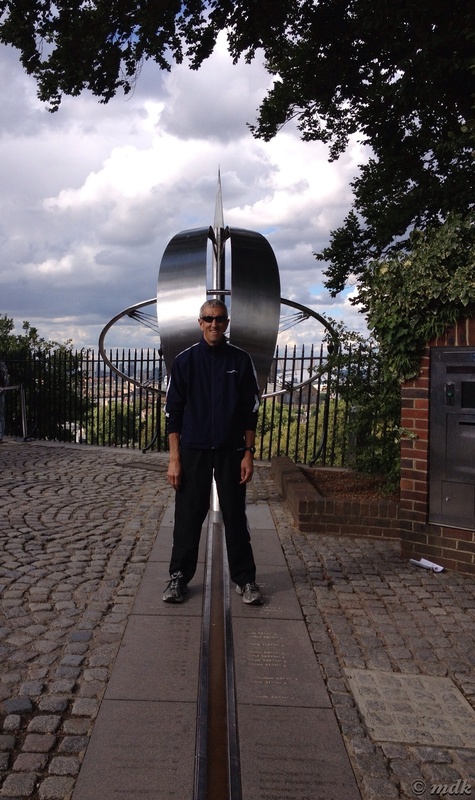 The most important line of all being the prime meridian, or zero degrees longitude. Different countries used different calculations which was, of course, not ideal. 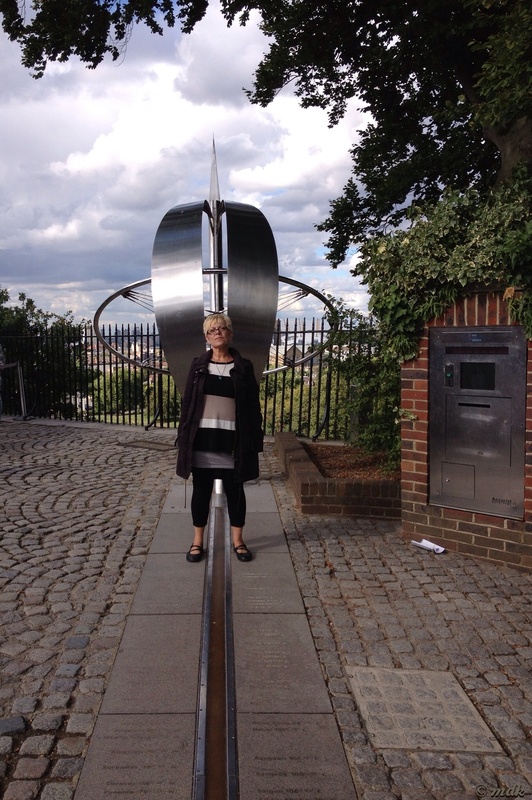 In 1851 the Prime Meridian was established at Greenwich and, at an international conference in 1884 it was agreed as a standard for all navigation. 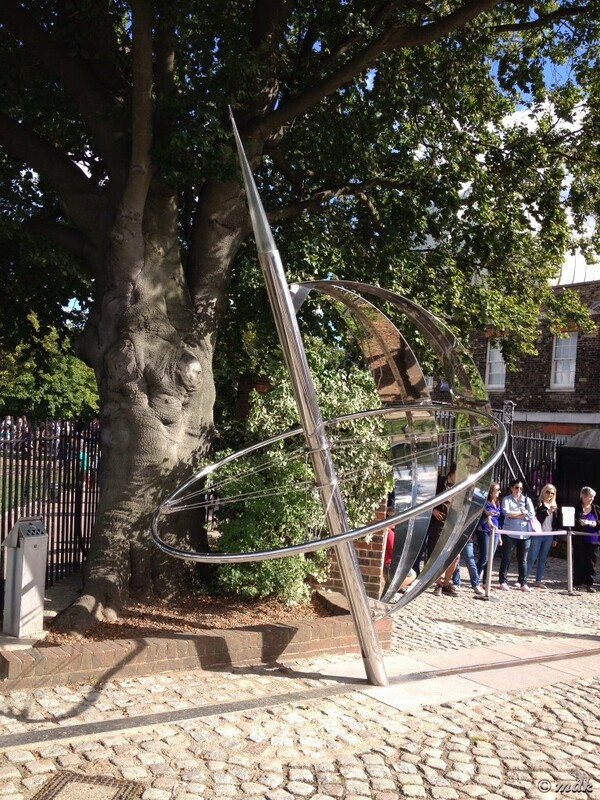 Originally the line was marked with a brass strip in the courtyard, these days its been upgraded to stainless steel and a green laser shines across the London sky at night. We didn’t see the laser but we did see the line. In fact we had rather longer to contemplate it than we’d really have liked. We stood in a long queue to have our photo taken standing on it. 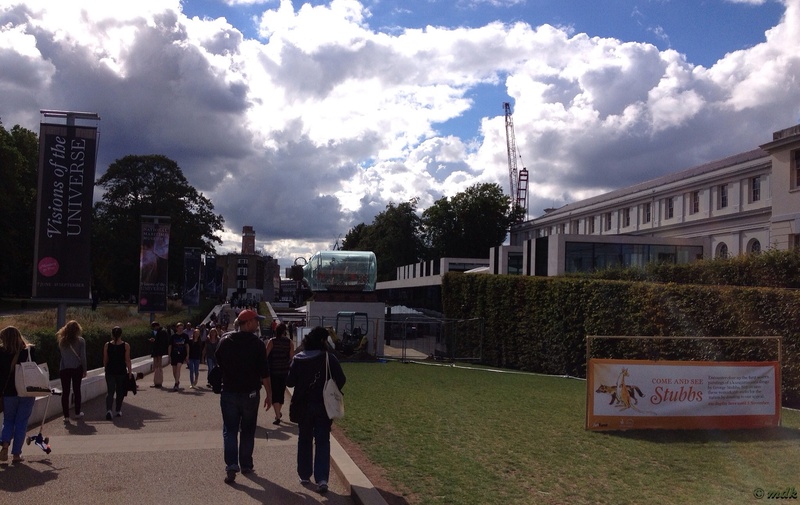 Queueing is a great British tradition, if there were Olympic medals for it we’d win every time. We stood and watched as people of every nationality stood in pairs or singly, some balancing on one leg, some standing either side of it, families, even a baby in a pushchair. The most bizarre being a young Chinese couple carrying a fish bowl full of water into which they plopped a plastic tiger fish. What that was all about was anyone’s guess. 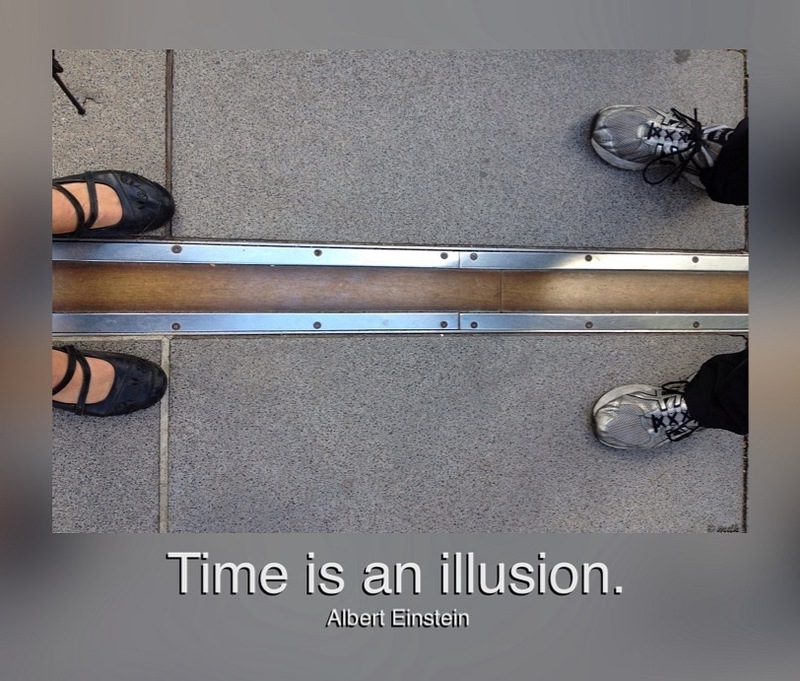 When our turn came I took a quick snap of our feet, straddling the line, one foot in the east the other in the west. Then Commando took a photo of me and I took a photo of him. Finally, the lady supervising the queue kindly took a photo of both of us together. Then we were off to let someone else have a turn. The observatory is now used as a museum so, once we’d had our photo opportunity, we went inside for a little look. We saw sextants, telescopes, watches and time pieces of every kind, and, interesting for someone like me who likes to take the odd photo, a camera obscura. For those who don’t know, this is a darkened room with a lens and rotating mirror which projects a close up real time panorama of a distant object onto a flat surface below. 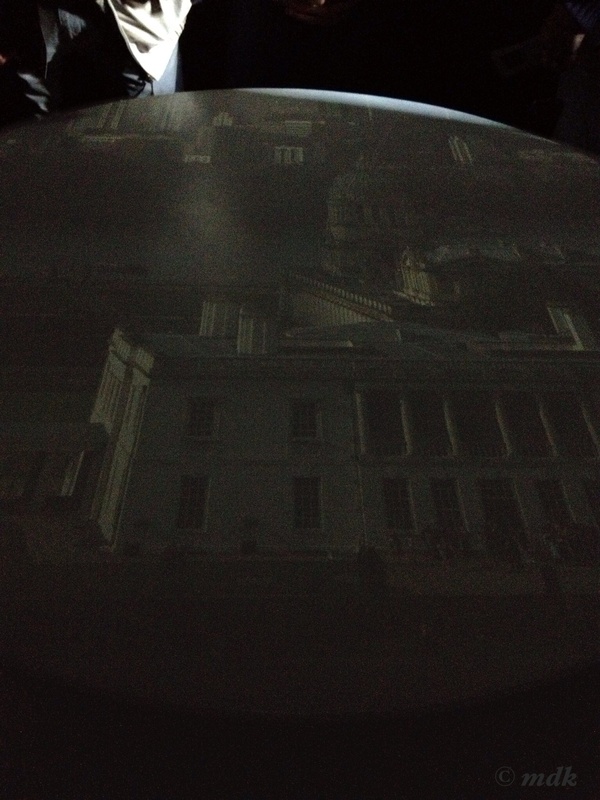 Once our eyes adjusted it was fascinating to see the view we’d enjoyed from outside projected onto the round table using nothing more than a lens and mirror. All the cars and people moving about just like a slightly dim film. This folks, is where the idea for the first ever photograph came from. Haven’t we come a long way? Eventually, when we were beginning to get a bit hungry, we made our way back through the queues still waiting to get inside and trotted back down the hill. 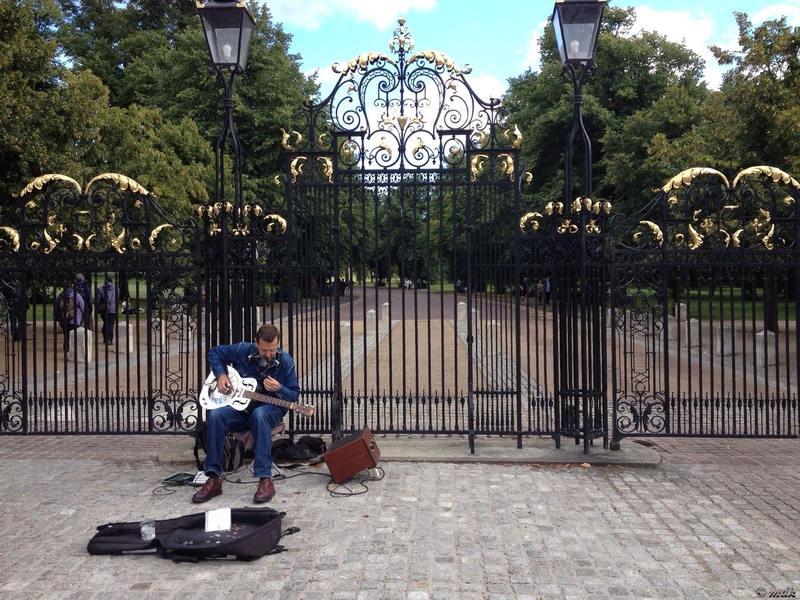 The downhill walk was much easier, even though we seemed to be struggling against the traffic coming up and soon we were going through the wrought iron gates out of Greenwich Park, with a quick stop to drop some money into a buskers guitar case. Now all we had to do was decide where, out of the plethora of restaurants, pubs and cafes, we were going to eat. I love rivers and if you saw Dara O’brian, Griff Rhys Jones and Rory McGrath recreating 3 men in a boat a few years back, you may realise why myself and 5 others decided to do 6 men in two boats…we had an absolutely wonderful time, got stuck in locks, swept uncontrollably downriver in a flood, camped wild on the banks and did it all over again the following year. We covered the stretch from Lechlade to Eynsham before the lock keepers, wonderful chaps, decided it was too dangerous for us to go on to Oxford as the clearance under the bridges was too low. Best adventure I’ve ever had, and one of our boats was used in the tv series…great fun! That sounds like a real adventure. Maybe you should have a go on the Itchen? We did investigate the possibility of travelling down the Test by canoe, from as far up as we could go down to Totton but there is far to much privately owned riverbank for salmon and trout fishing to make it viable, but maybe the Wye is an alternative, although we’re all cracking on a bit now…we are slowly walking the SWCP though, 138 miles down, only about 492 to go!